In butchery, Frenching is the process of removing all fat, meat, and connective tissue from rib bones on a rack roast. 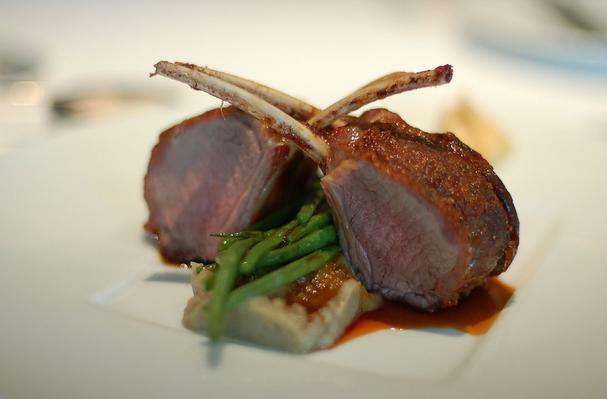 It is commonly used on rack of lamb, beef crown roast, or pork rib roast. This is accomplished by cutting between the bones down to the main roast and scraping the bones, with a sharp paring knife. This method is used mostly for presentation purposes, but it also makes carving easier.To remove the thin membrane that remains on the rib bones, use a slightly damp towel to grip onto the bone and slide the membrane downward. Removing this thin membrane will also improve the look of the ribs.